The increasing attention given to competencies needed to enter the workforce has revealed a need for veterinary students to gain more experience in performing small animal elective surgery before they graduate. In addition, guidelines for standards of care for shelter animals recommend that all dogs and cats should be spayed or neutered before adoption. Teaching surgical skills while serving the needs of local animal shelters represents an ideal service-learning opportunity. Following a pilot study and the benchmarking of other programs, an elective course in shelter medicine and surgery was created in 2012 at Purdue University’s College of Veterinary Medicine (PVM) to allow fourth year Department of Veterinary Medicine (DVM) students an opportunity to spend two weeks performing surgeries for some of the financially challenged Indiana animal shelters on-site from a mobile unit (Priority 4 Paws). In addition, students spend one week volunteering at an animal shelter under the direction of a veterinarian. With financial assistance from sponsors and donors, PVM purchased and equipped a mobile surgery unit, hired a full-time veterinarian and a registered veterinary technician to staff the year round service at 13 Indiana animal shelters. As of 30 November 2014 the team had seen 7,238 cases and performed 5,839 procedures since its initiation 30 July 2012. Currently, P4P is averaging more than 2,600 per year including a 16% increase in the second full year (2014) with approximately 2,959 procedures performed. We expect to reach maximum capacity of 60 students performing 50 procedures each (3,000 procedures) in 2015. 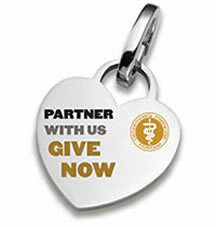 Promote engagement through the free exchange of information and the sharing of knowledge within the College of Veterinary Medicine and our constituents (shelter personnel, referring veterinarians, other institutions and collaborators), the general public and the biomedical community. Provide practical surgical hands-on experience for Purdue veterinary students. Provide free spay and neuter surgeries for Indiana animal shelters so that animals that are adopted don’t contribute to unwanted litters and the problem of pet overpopulation. Instill a philanthropic spirit in students so they continue to support animal shelters wherever they decide to work after graduation.